The great personage about whom we are discussing now was commonly known as Sheik Bahai. He has been recognized as one of the Mujaddadad’s, the revivalists of the Faith, of the 10th Century Hijra by the Shias. He was born in a small hamlet of Jabl Amil in the house of Sheik Hassan. Not only Sheik Bahai was a cleric of very high caliber, but he was an outstanding scholar in different disciplines and has also left behind his writings. Sheik Bahai had many books that he has left behind as his heritage. Even to this day the scholars are drawing benefit from those books. In the discipline of Fiqh his monumental works are: “Habl al Mateen”, “Urwat al Wusqa” and “Jameh Abbasi” in which he has lucidly presented the nuances of Shia Fiqh. He had delved in the Ilm al Hadit very dexterously. In addition to these he wrote “Khulasat al Hisab” on mathematics. He also penned book on the subject of astronomy.He was a poet of high caliber and written two Mathnavis- “Mathnavi Naan Halwai” and “Mathnawi Sher wa Shabar”. He has written plenty of books and enumerating them is beyond the scope of this short profile. We have just made a passing reference about his literary works. 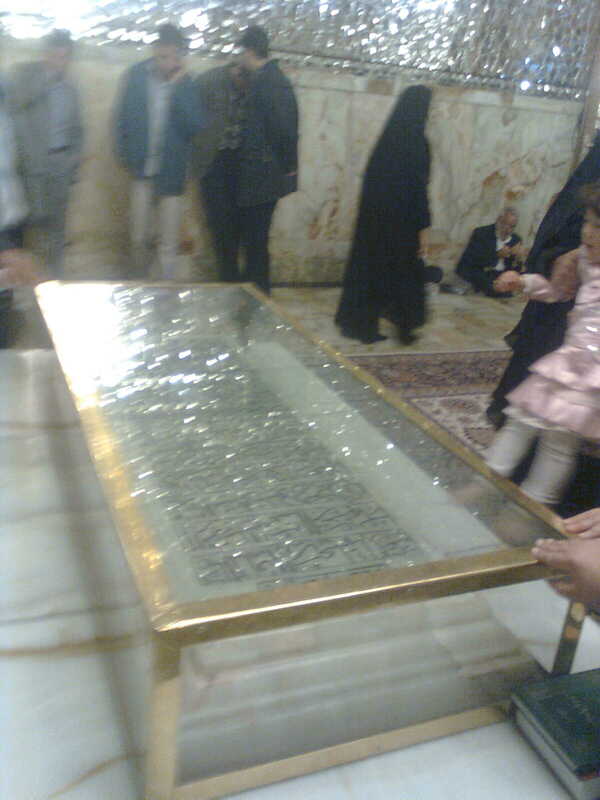 Harit visited Hazrat Amir al Momineen (a.s) on a dark night. Ihe Imam (a.s) asked him, “O Harit! What brings you away form the comfort of the bed at this time in the night?” He said, “O Maula! Your love has attracted me towards your home!” The Imam (a.s) uttered these words, “O Harit Hamadani! Remember that when a person dies, he certainly sees me! Min Mominin au munafiqin Whether Momin or a hypocrite! This tradition has been transmitted to us through Sheik Harit Hamadani. He was the same Harit to whom Hazrat Amir al Momineen (a.s) had given the seeds of dates. Harit one day came across Imam Ali (a.s) eating dates in the company of Hazrat Khizr (a.s) in the outskirts of Koofa. Hazrat Khizr (a.s) was throwing the seeds after eating the dates and Imam Ali (a.s) was gathering them. Harit went forward and requested the Imam (a.s) to give him some. The Imam (a.s) gave him some seeds of the dates. When Harit sowed those seeds he got profuse yield from the trees. His dates were about the best in the entire Arabia. Sheik Bahai was the 9th in descent from the progeny of Sheik Harit Hamadani. The early education of Sheik Bahai was under his own father. His father Sheik Hussain Bahai took instruction from Mulla Abd Allah Yazdi. Mulla Yazdi has written a book, Hashiye, on the subject of logic. All the scholars, and students, from both the schools refer to this book during their study of the nuances of logic. Mulla Yazdi was a clairyvoyant. His clairvoyance indicated to him that he should spend his last days in Isfahan. He reached there in the night. His entire family and relations were with him. The luggage was unloaded. Aroud midnight he asked his people to load back the luggage for travel saying that he wouldn’t live in that city.He was asked why he changed his decision. He said that when he looked around, he found 12,000 locations in Isfahan where people were drinking spirits. By the time the luggage was loaded back, it was almost morning. It was already nearing the time for the morning prayers. The servants said that they were ready for the journey. But he asked them to unload the baggage again that he had decided to stay on in Isfahan. He was asked as to the reason for his change of mind again.He said that when he looked around at that time, he found 70,000 mats spread for the Namaz e Shab in Isfahan. He said the place was right for him to live! Sheik Bahai’s father, Sheik Hussain Bahai was his disciple. As mentioned earlier, Sheik Bahai first received instructions from his father, Sheik Hussain. Among the Shia scholars, none other than Khwaja Naseer ud Deen Toosi had such learning in several disciplines like Sheik Bahai. In certain disciplines he was certainly ahead of Naseer ud Deen Toosi. It is said about Sheik Bahai that during recesses like the summer holidays, holidays during Ramadan, or Moharrum, he wouldn’t teach the disciples who stayed back with him on the subjects in the curriculum. But those days he engaged them in learning other disciplines. The reason for this was that Sheik Bahai was a very keen traveler during his early days. When he visited new lands he always acquired new knowledge. He lived for four years in Makka Mukarrama, for two yuears in Egypt and reached as far as Sri Lanka during his sojourns. Most of these trips he had made along with his father, Sheik Hussain. This incident pertans to the time when Sheik Bahai was a scholar, still a student, and not yet a Mujtahid. In Ceylon he acquired knowledge in several disciplines. There is a very strange incident that happened to him during his sojourn in Ceylon. He was once trekking in the hills when he noticed a man emerge from a cave.He was surprised what this person was doing, alone, in the wilderness. He hid himself behind a bush and started observing the strange person. The man came out of the cave, squatted, and loudly shouted, “The sheet for the repast be spread!” Sheik Bahai saw a sheet emerge in the horizon and descended where the strange person sat. On the sheet were arranged a service of many victuals. The man looked at the sheet and surveyed the surroundings with his eyes. He also said, “The person who is observing me from behind the bush should come out and join me on the meal!” Sheik Bahai was surprised to hear this and also thought that perhaps there was some other person hiding in the area besides himself.He looked around and when he was sure there wasn’t any one else there besides him, he emergred from behind the bush, went near the strange person and sat with him for the meal. Sheik Bahai has recorded that he was so surprised and scared that he couldn’t speak properly with the strange person. Both of them ate welll, but there was plent more on the spread. Now that person started emptying the dishes one after the other. Surprised at this, SheikBahai asked him,” Why are you throwing the good food ?”The man said, “There are many wild beasts in the jungle and Allah has given me the responsibility to provide them sustenance!” When he threw down all the food, he called, “Take away the sheet!” Sheik Bahai saw the sheet swim away in the horizon. Sheik Bahai hasn’t mentioned anything about what he discussed with the strange man. But what happened to Sheik Bahai in his later life, gives one an impression that he must certainly have acquired some extraordinary skills from that strange man. As mentioned, Sheik Bahai received his early education from his father who, later on took him along on his travels. They went to Makka Mukarrama, then to Egypt and there came a time in their travels that his father said he didn’t have sufficient energy to undertake long journeys and that he settled down in Makka Mukarrama so that he could die and get buried in that Holy City. Therefore, from Makka, Sheik Bahai, went alone on his journeys. As mentioned earlier, Sheik Bahai traveled to Sri Lanka. Some historians write that he went from Ceylon to Burma. On the other side his father was determined that he must breathe his last in Makka. But it is said that during his last days Sheik Hussain dreamed of the Doomsday when he was ordered to go to Bahrain and cut the area from the world and make it a part of the Heaven! Now Sheik Hussain thought that Bahrain was such a holy place that it was destined to become a part of the Heaven on the Doomsday. He therefore decided to move to Bahrain. Bahrain was having several erudite scholars. Perhaps this was the reason that it was to become a part of the Heaven. He had several debates with the scholars in Bahrain and they were all convinced of his erudition. Ultimately Sheik Hussain demised while residing at Bahrain on 8 Rabi al Awwal, 984 H, when the age of Sheik Bahai was 30 years. At that time Sheik Bahai was in his journeys and wasn’t with his father at that critical juncture. Sheik Bahai was destined for a much higher responsibility. He consolidated the Shia Creed in Iran. During his journeys Sheik Bahai acquired knowledge in several disciplines. He was a Persian poet of very high caliber.His book of poetry “Kashkool” contains his famous Mathnavi (Narrative Poetry consisting of Couplets) “Naan wa Halwa”.This is the poetic rendition of his journey to Makka Mukarrama for the Haj. He also had learning in various other disciplines viz: mathematics, astronomy etc. During his journeys Sheik Bahai had several strange experiences. He himself writes that when he was in Egypt, he had a conversation with a cleric there that proved their enmity for the Ahl al Bayt (a.s). Sheik Bahai stayed for two years in Egypt when he was observing dissimulation. The cleric developed acquaintance with him and they used to have long conversations. To get an idea about their antipathy towards the followers of the Ahl al Bayt (a.s), Sheik Bahai used to tell him that in Makka he had the opportunities of interacting with Rafizis. One day the Egyptian scholar told him that the faith of the Rafizis was absolutely wrong and that they didn’t have any proof for the veracity of their beiliefs. He asked Sheik Bahai if he was able to convert any of the Rafizis to Islam (Sic)! Sheik Bahai said that he tried hard to convince them, but in the end they would put a question to him that threw cold water on all his arguments. The Egyptian asked in surprise that being such a learned scholar why he wasn’t able to suitably answer their question. Now Sheik Bahai said, “During our debates they said that in Sahih Bukhari there is an Hadit where the Prophet (s.a) had said: Fatima (a.s) Biz-at Minni Fatima is a part of me Man azahaa faqad azani One who troubled her, troubled me! Sheik Bahai told to the Egyptian that the persons in Makka told him that there were certain personalities on whom there is Allah’s curse that they troubled Fatima Zehra (a.s) and she departed from the world unhappy with those persons. He told to the Egyptian that this Hadit was in the Sahih Bukhari five pages after the previous Hadit. Sheik Bahai told the Egyptian that he wasn’t able to counter those persons in Makka. The Egyptian said, “They are liars! There is nothing like this in Sahih al Bukhari! Tonight I shall read the book and remove your objection in the morning!” The next morning the Egyptian went to Sheik Bahai and said, “I was telling you that the Rafizis are blatant liers. They said that the second tradition is after five pages of the first. No! It is seven pages after the first tradition!” Saying this he went away. Sheik Bahai was able to gauge how deeply entrenched the enmity and bias for the Ahl al Bayt (a.s) in their hearts.. Sheik Bahai had several other debates with such people but the result was always the same that despite all the arguments, they wouldn’t budge from their biased positions. Sheik Bahai kept traveling in different countries widening his horizons and acquiring knowledge in various disciplines. When Shah Abbas Azam ascended the throne of Iran he was conscious that ruling was the prerogative of the Imam (a.s) and to run the administration according to the Shariah there must be a Naib e Imam at the helm of affairs. He had already heard of the erudition of Sheik Bahai and therefore invited him to go over to Isfahan and take over the position. Shah Abbas’ realm was one of the biggest of those times and, as recorded by the historians, Isfahan was considered the best cty in the entire Asia and Europe. When Sheik Bahai received the offer, he realized his duty towards the Ahl al Bayt (a.s) and their followers. He kept aside all his plans for travel and forthwith proceeded to Isfahan. That was the time when there were several eminent Fuqha in the world. Sheik Bahai was in Iran, Qazi Noor Allah Shustari was in the Mogul court in India. Mir Baqir Damad, another scholar of very high repute was also in Iran. He was a great Mujtahid but in the field of Fiqh he didn’t have a big name. It is the greatness of Mir Baqir Damad that he himself recommended the name of Sheik Bahai to the king to give the important position to him. It is said that Mir Damad had read a book written by Sheik Bahai and said, “That Arab is a man of erudition!” Now two great Mujtahids were stationed at the same place.but there never developed any jealousy or competition between the two. Sheik Bahai told to the king that since there was a Naib e Imam (a.s) in the capital, there must be arrangement for the Juma Congregations in Isfahan. Therefore, it was the first time that the Friday congregation was arranged at the Great Mosque in Isfahan. But when the question of leading the congregation came up, Sheik Bahai said that since Mir Baqir Damad was there, he only should lead the prayer. He guided Mir Damad to the front and stood behind him during the prayer! Once, for the Friday Congregation, Mir Damad got delayed in coming to the mosque. The rows were already formed and Sheik Bahai was about to lead the congregation when Mir Damad came into the mosque. When Sheik Bahai saw him he immediately went to the first row and vacated the place for Mir Damad to lead the prayer. Once Shah Abbas went out of Isfahan on a hunting expedition and he took along with him both Sheik Bahai and Mir Baqir Damad. In front of the group was Shah Abbas and the two clerics. Sheik Bahai and Mir Damad were both of a weak constitution. They were mounted on steeds. Since Sheik Bahai was lighter of weight his horse was cantering ahead. Shah Abbas wanted to test the hearts of the clerics. He went closer to Mir Damad and told him, “Have you seen this foreigner, Sheik Bahai, is so impertinent that he is speeding his horse ahead of you!” When Shah Abbas told this to Mir Damad, he looked angrily at the king and said, “It is not Sheik Bahai who is speeding the horse. It is the horse itself that is running fast that such a great cleric and scholar has mounted on it!” Shah Abbas apologized to Mir Damad. After a while he went near Sheik Bahai and told him, “How impertinent is Mir Damad that he is casually riding behind you unmindful that you are the chief administrator of the Realm and he is treating you in such a cavalier manner!” Sheik Bahai said angrily, “It is the horse that is lagging behind and not that Mir Damad is purposely falling behind. The horse, in fact, is carrying so much weight of Mir Damad’s knowledge that it isn’t able to canter along fast!” Shah Abbas immediately dismounted from his horse and offered two genuflections of prayer of thanksgiving that his realm has been endowed with such great clerics who have no feeling of jealousy or envy between them. A similar incident is also there from the History of Islam about two eminent scholars of another school.Once the chief of the city invited both of them. The guests sat down for a chat before the repast when one of the worthies got the nature’s call and went out. The chief asked the other scholar his opinion about the other.He said that the person was a dunce and he didn’t know anything. After a while the first scholar returned and joined the group. After some time the second scholar went out. The chief asked the first of his opinion about him. He said that the person has habits like those of dogs. Now the food was served.and special dishes were placed before each of the two scholars. When they lifted the covers from the dishes they found that one was full of grass and in the other were dried bones.Boh the scholars felt angry and turned towards the host. They asked him if he was making a practical joke with them. The host said I was only trying to serve you what each one of you likes. He told that when he asked the second about the first, he said that he was a donkey and therefore he must prefer to eat the grass. He said that he asked the first person about the second and he said he was a dog. Therefore I thought he would prefer to eat the bones! Sheik Bahai came to Iran and started implementing reforms according to the Holy Shariah. Sheik Bahai knew that if the Faith has to prosper, the Ulema must be there. Even if there are plenty of believers in a place, without the services of an Alim they will not be properly guided. He always used to exhort Shah Abbas to groom large number of Ulema for the country. The king announced the scholarships and other facilities for students. But after some time he noticed that the seminaries didn’t have proper attendance. He asked Sheik Bahai why people weren’t willing to send their children? Sheik Bahai made a suggestion to the king. He said that he would go round the city astride a steed and the king should walk holding the reins in his hand. While returning from the seminary too the king should do the same. The result of this was that the people were impressed with the king’s piety for encouraging the religious learning among his subjects and the seminaries were all full of students in no time.Sheik Bahai told to the king that if you give respect to the clerics, people will be attracted to become clerics. Allama Khomaini has written that it isn’t right for clerics becoming courtiers with kings, but Naseer ud Deen Toosi and Sheik Toosi were such eminent clerics who served the Faith excellently with their positions in the courts of the kings. There is one discipline of knowledge that is called the Ilm e Irfan al Masoomeen (a.s) that consists in supplications and talismans. Those that are published in books may not be authentic and many persons claim that they have the knowledge of the nuances of this discipline. This knowledge, in fact, travels from father to son for generations. The person expert in this field will select a disciple to communicate the knowledge to him after judging his aptitude. Sheik Bahai had achieved a great height in this field. It is said that he had written a talisman and gave to Shah Abbas to bury it near the boundaries of his realm. During the reign of Shah Abbas, no external forces attacked his realm. Sheik Bahai was an adept at engineering and mathematics. There is a mosque in Iran by the name of “Chahel Sutoon-The Mosque of Forty Pillars”. The mosque is built on the banks of a river. When you look at it from the front, it seems there are forty pillars in the structure. In fact it has only twenty pillars! The mosque was designed and constructed by Sheik Bahai. There are three bridges in the Isfahan City. All the three were built under the supervision of Sheik Bahai. These bridges are built with such skill that whether the river is in spate or not, water flows through the 33 flood gates provided along the span of the bridges. There is a minaret in Isfahan called Minar e Tardida. This too was built by Sheik Bahai. There is a structure in Isfahan.that is having two minarets of thirty feet height .When one minaret is shaken, the other minaret shakes by itself! This miracle of engineering too was constructed under Sheik Bahai’s skilful supervision. There used to be a bath in Iran that was called “Hamam e Bahai”. That hamam was destroyed by the English. The special feature of the hamam was that the water in it used to be lukewarm in all seasons although there was no apparent heating arrangement there! When the English arrived there during the period of Fath Ali Khan, they were very much surprised. They wondered that the bath was providing warm water to the bathers, even during the peak of winter seasons, for 250 years. Out of their curiosity they demolished the water reservoir of the bath and found that at the bottom of the structure only a small wax candle was burning. Sheik Bahai also took active interest in the construction of the mausoleum of Hazrat Amir al Momineen (a.s) in Najaf e Ashraf during the reign of Shah Abbas. It was during the period when Shah Abbas Safavi had extended his suzerainty over Baghdad, Najaf and Karbala. The sepciality of the structure is that in all seasons, the first ray of the sunlight falls into the sarcophagus. The compound walls have been constructed with such skill that, in all seasons, the shadow of the wall falls on the ground at the time of Zuhr Prayer. The scheduled time of this prayer varies with the seasons, but the shadow falls on the ground exactly at the scheduled time in that season! There is one miracle associated with Sheik Bahai’s Taweez (Talisman). This hasn’t been recorded in any book of history but it is the word of mouth that has transmitted the story along the centuries that have gone by! In Najaf e Ashraf there are snakes aplenty. It is the experience that no one suffers from snake bite in the area. Najaf stands on a desert terrain and almost all houses there have cellars. The desert and the dungeon like cellars are the best refuge for snakes. But no poisonous snake ever bites anyone in Najaf. It is said that this is the miracle of the talisman written by Sheik Bahai.that was kept in the mausoleum of Hazrat Amir al Momineen (a.s). There are two disciplines, astrology and sorcery, that are taboo in Islam if practiced to harm any one. But sorcery can be countered with sorcery. For such purpose these skills may be acquired and used! Sheik Bahai was an adept at these! In those days none could compete with Sheik Bahai in two disciplines--- sorcery and astrology! Sorcery was common in his times. It is said that one person in Iran, during those days, claimed that he was a prophet. He also demonstrated unbelievable phenomena through sorcery. People started believing in him and were impressed with these things. When Shah Abbas heard about this, he was worried. He called Sheik Bahai and asked him about the punishment in the Shariah for such an imposter. He told him that the person must be executed. But he also said that the person had a growing following and his execution might cause unrest in the kingdom. The Sheik also told the king to stop worrying about the matter that there were other ways of controlling the sorcerer. He asked the king to summon the person and all his followers to to the court. The person came to the court along with his followers. Sheik Bahai started addressing him as prophet. Shah Abbas was surprised at this. Then he requested Shah Abbas to take the person to the terrace of the palace and show him the view of the city from there. Shah Abbas did as he was told. The idea of Sheik Bahai was to undo the mischief and also keep the followers of the imposter in check. Sheik Bahai followed behind the king and the imposter himself doing an act of sorcery. The man was asked to look at the city. When he looked around, he saw only water all around him and no sign of the city of Isfahan. He said, “You have brought me from the palace to show me the city, where have you brought me?” Sheik Bahai told him, “You are a prophet of God! You should know where we have brought you. We have a city across this sea where the people await your arrival to join your following! You are a prophet and certainly you know how to reach there.” The man said, “I am certainly a prophet, but needn’t show my miracle at every step!” Sheik Bahai said, “If such is the case, we shall arrange a boat for you to travel!´The Sheik did some sorcery and a leaf fell down from the horizon and took the shape of a boat. The man requested Shah Abbas to go along with him to visit the city. Sheik Bahai said, “You are a prophet and we cannot precede you in going on the boat! The man put his feet into the boat which was nothing more than the mirage of Sheik Bahai’s sorcery. The result was that the person fell to the ground from the terrace of the palace and succumbed to the fall! This awakened his blind followers that they were unnecessarily attracted to the imbecile. Once while traveling Sheik Bahai had the urge to make water. He looked around and noticed a bush nearby. He sat facing the bush and started urinating. Behind him was a house where lived an old woman who was a sorceress. She looked out from a window and found Sheik Bahai sitting near the bush. She thought that Sheik Bahai thought very highly of his skill at sorcery and that it was a good opportunity to test him. She brought him under her spell that over half an hour passed but Sheik Bahai continued to urinate. Sheik Bahai was worried why he was getting so much of urine.He looked around in concern and found a woman peeing from a window in the house. Now he brought the woman under the spell of his sorcery. The woman felt that a big tree had appeared on her head.like a big horn. She worried how she would withdraw her head inside with the horn blocking the window. She understood that Sheik Bahai had brought her under his spell. She shouted, “O Sheik! Please bring me out of your spell and I shall relieve you from mine!” The Sheik withdrew his spell and the woman saw that the tree that was on her head was infact the tree in the ground in front of her house. The horn like effect was just a hallucination created by the Sheik through his sorcery. Now the Sheik felt that he was carrying a leather water container and the water was trickling from it. Under the spell of the sorceress he felt that the dripping water was his urine! One day Sheik Bahai was sitting with his friend Mir Abul Qasim in Isfahan. Abul Qasim had a very miraculous quality. If any metal was touched to his body that would turn to gold. When he died many persons wanted to take away his body and make lot of gold by touching it with metallic objects. Shah Abbas constructed a very strong mausoleum for Mir Abul Qasim to prevent people from making tunnels and reaching his body! Sheik Bahai was once having a discussion with Mir Abul Qasim at the palace in Isfahan when a tiger entered there. Sheik Bahai recited some supplication and the tiger meekly went away. Shah Abbas got a painting of the event made and put on the wall of the palace. Sheik Bahai not only had extraordinary skills in engineering, mathematics, astrology, sorcery but he was an adept in the field of medicine as well. He had the entire work of Bu Ali Sina in his mind. In the Islamic Fiqh the pigs and the dogs are absolutely unclean creatures. The question is whether their teeth, nails, hairs and bones are unclean or not? The Fiqh says that when a man dies, his body is unclean prior to giving the bath prior to burial and that the parts of the body viz: the teeth, nails, hair that don’t have life in them are treated as clean even prior to the bath of the dead body. The edict of Sheik Bahai was that these parts too are unclean before the bath. The opinions of Agha e Qooee, Qumaini and Burujardi too were the same. But Sayed Murtada had said that the teeth are clean. Shah Abbas ordered the carcass of a wild pig brought to the court and asked Sheik Bahai that he had hunted the animal in the forest. When the mouth of the animal was inspected they found the word “Allah” on its teeth. Sheik Bahai agreed with the Fatwa of Sayed Murtada that teeth aren’t having life in them and therefore are clean. The leading physician of the court got up and said that Bu Ali Sina had written in his treatise that teeth too had life in them. Shek Bahai said that he had nothing to do with the opinion of Bu Ali Sina and he was concerned only with the saying of the Imam s(a.s) that the teeth are lifeless. The physician sat down but joked with his colleagues saying that they are rejecting the expert opinion of Bu Ali Sina. Sheik Bahai was now angered and he said, “Open so-and-so page of Bu Ali Sina’s book and see that he had written there that the teeth are lifeless. Then he said open the last, eighteenth volume, of the book on so-and-so page and see that he had written that the teeth too have life in them! In the first volume he says teeth don’t have life in them and the last volume says they do have life! Do you want us to believe in the word of a man who contradicts his own statement or the word of the Imam (a.s) who never gives any contradictory statement?” The physician was surprised and asked Sheik Bahai if he had perused the works of Bu Ali Sina? Sheik Bahai said that the entire contents of Bu Ali Sina’s works were in his mind. The books were then brought to the court and the veracity of the Sheik’s statement was proved! In the month of Shawal 1031 H Sheik Bahai visited a graveyard.He went near a grave, spread his tunic on the ground, sat on that, put his hand on the grave and conversed in a very strange tongue. He started getting response from the grave to his talk. His disciples, who were accompanying him, have said that the conversation went on for quite some time. Then he got up, put on his tunic and quietly went home. For the next 8 days Sheik Bahai didn’t talk and passed away on 10th Shawal 1031 H.
The man thus embraced Islam! Sheik Bahai was not only helping Shah Abbas in matters of the Faith, but he resolved his other problems as well. The king used to have a royal spread of sumptuous food. For some days he was noticing that quantities of food material were disappearing automatically from the spread. He generally had sufficient food for himself and his close courtiers who shared the food with him. Observing this phenomenon for many days, the king got worried. The king wrote a letter to Sheik Bahai explaining the phenomenon. The Sheik immediately knew who could be behind this. One of his disciples was very keen on learning sorcery. He persuaded the Sheik to give to him the special collyrium that made a person invisible to others when it was applied to his eyes. The author of Qasas al Ulema too has referred to this collyrium while writing about Sheik Bahai. The Sheik had given the material to his disciple making him promise that he wouldn’t use it for any wrong purpose. When Sheik Bahai read the letter from the king, he immediately connected this disciple of his with the strange phenomenon on the spread of Shah Abbas! The Sheik told to the king that he will forthwith stop the mysterious disappearance of food from the royal spread but he made him promise that he would let the culprit go free when he was caught and send the person to him! The king agreed to this suggestion. The Sheik asked the king to go out of the dining room making some excuse when the meal was in progress.Then ask the servants to burn something all around the room that the smoke filled the dining room. After some time when the room was opened they found the persons rubbing their watering eyes and there was one stranger in the group. The king got the person arrested, sent him to Sheik Bahai and he personally went to him immediately thereafter out of his curiosity for the strange happening. Sheik Bahai explained to the king about the collyrium that would make a person invisible. But because of the smoke tears washed away the collyrium from his eyes and the person became visible to everyone. Sheik Bahai reprimanded the disciple, took away the collyrium from him and banished him from Iran. Once Sheik Bahai gave such an answer for a question that a senior Mujtahid was upset with him. Someone asked him whether Zakaria ibn e Adam was of a higher status or Sheik Sadooq. Zakaria ibn e Adam was a very close and important companion of our Seventh Imam Moosa Kazim (a.s). In fact, when the Imam (a.s) went for the Haj he asked the people of Khorasan to contact Zakaria ibn e Adam for the resolution of their problems in his absence.He said with full confidence that whatever solutions that Zakaria would suggest to them would be what the Imam (a.s) himself would advice. This was the status of Zakaria and Sheik Sadooq too was equally great. The only difference was that Sheiq Sadooq hadn’t seen the Imam (a.s). When someone asked Sheik Bahai to compare the two worthies, he said that he considered Zakaria ibn e Adam superior than Sheik Sadooq. After some days Sheik Sadooq came in his dream and when Sheik Bahai greeted him, he just replied to his greeting formally and turned away his face. Sheik Bahai very much wanted to converse with the great scholar but Sheik Sadooq was sitting with his face turned away from him. When Sheik Bahai persisted Sheik Sadooq said in his dream as to why he said that Zakaria ibne Adam was superior to him! Sheik Bahai was rendering service to the Faith in another manner. Many of his capable disciples whose services were not so much needed in Iran migrated to India where the Shias were in the worst predicament. These scholars went there and provided a strong nucleus for the guidance of the followers of the Faith. Just prior to the times of Sheik Bahai the great Shi’ite scholar, Qazi Noor Allah Shustari, was mercilessly martyred by the Mogul King Jehangir because of the machination of the clerics of the other schools. The Shia community in India felt orphaned at that grave moment. Unimaginable miseries were inflicted on the Sayeds in the Arab lands. It was mandatory for them to save their lives and families. Iran too wasn’t safe before Allama Hilli arrived there. The best alternative for them was to head for India. The Ulema are on record saying that spending life with just infidels is better than with cruel Muslims. Therefore a large group of Sayeds migrated to India. They first entered the territory of Sind. The first prominent place they settled in Sind was Thatt. Then they slowly moved towards Multan. In the 3rd and 4th Century H, which coincided with the period of Sheik Mufeed, the Sayeds had become a force to reckon with in the Sind Province. In Multan, Mohammed ibn e Jafar, the grandson of Hazrat Amir al Momineen (a.s) had established his suzerainity in Multan. Then came forward an enemy of the Ahl al Bayt (a.s), Mahmood Ghaznawi, who plundered India 17 times.which were mostly in Sind and Multan.During these attacks the followers of the Ahl al Bayt (a.s) were mercilessly put to sword. Thus the Shias were again forced to migrate from the Sind Province. Some of them went towards the Deccan and some moved to Delhi. Slowly Delhi became the center of the followers of the Al e Mohammed (s.a). They established their own neighborhood and also constructed their mosque. It seemed as if they were settling down to a quiet and peaceful life. At that juncture rose one ruler from the Tughlaq Dynasty, Feroz Tughlaq, who himself wrote in his auto-biography, “Providence has made me perform a great task! During my reign the numbers of the Rafizis had swelled. Therefore I didn’t leave even one of them. I massacred all of them! I have destroyed their center. Now only those of them have been spared who agreed to pay the Jiziya Tax!” Thus, unfortunately, a time came in India when the foloweres of Mohammed (s.a) and his Progeny (a.s) were forced to pay the tax that is levied on the Jews, the Christians and the Fire Worshippers! Thus the central India too became a very difficult place for the Shias to live in. Under these excrutiating circumstances some people moved to Kashmir and started propagating the True Faith. Because of this work, the followewrs of the Ahl al Bayt (a.s) flourish to this day in Gilgit and Baltistan. Some people moved to Mysore, Banaglore and Bijapur etc. The conditions in these parts were not too congenial for them. In that period came up a great scholar, Mulla Tahir, who helped the foundation of a Shia realm in the country. When Multan was razed by Mahmood Ghazni, there was a cleric, whose name was Mohammed Ali, who moved to Gujarat and started propagating the Faith of the Ahl al Bayt (a.s) there. The Shias who reached the South of India started propagating the Faith and Allah blessed them with an Alim of the caliber of Mulla Tahir. When he moved from Delhi to Ahmed Nagar, the ruler there was Ismail Shah. He was a king who was interested only in power and pelf. All the Ulema who left Delhi, traveled in total dissimulation hiding their true faith. Mulla Tahir reached Ahmed Nagar and became the tutor of the children of the king, Ismail Shah. The king died and his son, Burhan Shah Suceeded him. Burhan Shah was much impressed with the erudition of Mulla Tahir and asked him to conduct classes in the jama Masjid of the city. Burhan Shah’s son, Abd al Qadir, the heir apparent, fell seriously ill. Despite the best efforts of all the top physicians in the relam, the condition of his health deteriorated day by day. Prayers were arranged at all the religious places in the kingdom and huge charities were distributed, but to no avail. On the eve of Friday, when wishes are fulfilled by Allah, Mulla Tahir came to the king and said that the prince would, Insha Allah, recover if he agreed to two conditions. The king asked him to mention the conditions. Mulla Tahir said that the Sayeds in the realm must be given financial support and during the Friday Sermons the names of the 14 Infallibles must be mentioned. The king said that he understood the first condition but he wanted to know who the Infallibles (a.s) are? Mulla Tahir mentioned to him the names of the 12 Imams (a.s). The king said that during his childhood his mother had told the names to him and had asked him to remember them. Mulla Tahir asked him to make a solemn Nazr (Oath) to Allah that if his son recovered fully he would fulfil the conditions that he had resolved to implement. The king made the oath and went inside the private quarters of the palace and Mulla Tahir went home. The king found his son very restless and was throwing away the comforter from his body. The king felt that there was no hope now and asked the nanny to put the prince’s comforter down. The queen too was sitting near the sick bed. It was late night and because of spending the entire night without sleep, the king fell asleep in the sitting position. H then dreamed that 13 Venerable persons were coming towards the bed. A voice told him that in the front of the group was the Prophet (s.a) and he was followed by the 12 Imams (a.s). The voice repeated the names of the Imams (a.s) in the same sequence as was mentioned by Mulla Tahir some hours ago. The king advanced towards the Prophet (s.a) and pleaded with him to pray to Allah for the recovery of his son. The Prophet (s.a) told him that his son would be restored to health but he must fulfil the conditions made by Mulla Tahir. At this point the king awoke from his dream and found that the queen and the nanny were in deep sleep and the comforter that was thrown away earlier was now properly spread on the child’s body. He went near the prince and found clear signs of recovery on his face. It was almost time for the morning prayers now and he rushed his men to summon Mulla Tahir. Mulla Tahir supplicated the whole night praying to Allah to help him as otherwise the followers of the Al e Mohammed (s.a) will face great hardships from the ire of the king if the prince expired. When there was a knock at his threshold so early in the morning, he thought perhaps the prince had expired. He was told by the messenger that the king had summoned him. He dressed immediately and rushed to the palace. At the entrance to the palace the king was impatiently waiting for him. The king told him that the prince had recovered and was very comfortable. He said that the prince, although very weak, was uttering words of thanksgiving to Allah! Burhan Shah told the Mulla Tahir that he would declare his change of faith on the very day that was Friday. Mulla Tahir adviced him that doing it in a hurry will not be very discreet.He asked him to make the declaration in stages. However the king wanted him to guide him, his queen and their son on the Right Path immediately. Mulla Tahir advised Shah Burhan to arrange a debate between the Ulema of all the school barring that of the Shia School because there was only one scholar of this creed in the kingdom, Sheik Abd al Karim Najafi, who was residing far away. However a messenger was sent to summon him.The debate started and when a cleric of one school presented a point of view, a cleric of another school refuted it. Thus they went on refuting one another for a long time. The king then intervened and said the arguments presented by all of them were refuted and that he had come to the conclusion that none of the four schools is right. At that juncture Sheik Abd al Karim Najafi arrived. Mulla Tahir himself was a far superior scholar than him. Although he was in dissimulation, he joined the debate as an assistant to Sheik Abd al Karim. Becoming the assistant to Sheik Abd al Karim itself gave away his propensity of Faith! The king felt that the replies the two were giving to the other group were silencing them. After debating on several topics, they came to discuss the topic of the “Garden of Fadak”, “the Incident of Pen and Paper” and a few more important subjects. Now the king declared that the faith of Sheik Abd al Karim Najafi was the True Faith and he declared that he was adopting the Faith. Then he recounted to the assembly the incident about the recovery of his son in full detail. In an instant 3,000 courtiers embraced the Shia Faith. The enemies of the Ahl al Bayt (a.s) were deeply worried at this development. One bigoted person, Peer Mohammed, made a center at his home to oppose the king who, he said, had turned a Rafizi and a heretic. He told his supporters to wage a Jihad against the king. He gathered his men and advanced to attack the royal palace. The king’s palace was besieged by the supporters of Pir Mohammed. In the olden days the palaces had very strong gates and the walls used to be very high. The residential part of the people used to be at a distance from the palace. The king consulted Mulla Tahir about the situation and suggested to him to prolong the siege as much as possible when the people will be tired of waiting there and would return to their homes. Mulla Tahir studied the pros and cons through his knowledge of Jafr and asked Shah Burhan to open the gates and step out of the palace. He said that, Insha Allah, he would be victorious. Worried, the king said that there was a huge crowd there against him. Anyway, the gate was opened the next morning and Mulla Tahir was the first to step out. The king went behind him. Mulla Tahir picked up a hand full of soil from the ground, recited a verse from the Holy Quran that said, “And We shall scatter the group like the dust!”.and threw the handful of soil towards the crowd. Once the soil went out of the hand of Mulla Tahir, the men switched sides in large numbers. After some time only Pir Mohammed was left and others either switched sides or fled from the scene. Pir Mohammed too fled from there. He was however apprehended the next day and the king ordered his execution. But Mulla Tahir appealed to the king to spare his life. The king asked him to be put into the jail for life. But after 4 years Mulla Tahir got him released from the jail. After the king’s declaration of his Faith, the practice of mentioning the names of the 12 Infallibles (a.s) in the sermons of the Friday Prayers was commenced. This was the first kingdom in India where the names of the 12 Imams (a.s) were included in the sermons recited from the pulpits of the mosques! They also started a new practice. Wherever the king sat a step was provided above that. On that step would be seated a Sayed whose ancestry was proven. The king had a feeling that it would be felicitous if he sat at the feet of a Sayed. It was one person, Mulla Tahir, who brought about a change in the attitude of a king in the Deccan. Later on in the Northern India too, in Delhi, Agra and other parts of U.P. a dramatic change came about in the attitude of the people and the enemies of the Ahl al Bayt (a.s) had to soften their attitude towards the Shias. Thus commenced the progress of the Shias in the vast country with the efforts of Mulla Tahir! Shaykh Baha' ad-Din al-`Amili, Shaykh Bahai or Sheykh Bahaee (Persian: شیخ بهایی) (February 1547 - 30 August 1621) was a scholar, philosopher, architect, mathematician,astronomer and poet in 16th-century Iran. He was born in Baalbek, Lebanon but immigrated in his childhood to Safavid Iran with his father. He wrote over 88 books in different topics mostly inPersian but also in Arabic. He is buried in Imam Reza's shrine in Mashad in Iran. He is considered one of the main co-founders of Isfahan School of Islamic Philosophy. In later years he became one of the teachers of Sadr al-Din al-Shirazi, also known as Mulla Sadra. His works include Naqsh-e Jahan Square in Isfahan, as well as designing the construction of theManar Jonban, also known as the two shaking minarets, situated on either side of the mausoleum of Amoo Abdollah Garladani in the west of Isfahan. Shaykh Baha' al-Din (also spelled Baha'uddin) Muhammad ibn Husayn al-'Amili was born in Baalbek, Lebanon in 1532. He lived in Jabal Amelin a village called Jaba'. Jabal Amel had always been one of the main Shiite centers of west Asia. Even today various Shiite groups live there. They have played an important role in establishing Shiism in Iran, especially from 13th century onwards. The Baha'i (Bahaei) progeny was among those well-known Shiite families. As a child, he came to Iran with his father and completed his studies in Isfahan. Having intended to travel to Mecca in 1570, he visited many Islamic countries including Iraq, Syria and Egypt and after spending four years there, he returned to Iran. Shaykh Baha' al-Din died in 1610 in Isfahan. His body was buried in Mashhad according to his will. The exact dates of his birth and death are different on his grave stone and on the ceramic of the walls of the room where he is buried in. The dates on the wall contain day, month and year, while the dates on the grave stone only contain month and year. The ceramics of the wall are made in 1945. It seems that at that time a research is performed about the exact dates, and, therefore, the information about the day is added to the dates. According to Bahá'í scholar ‘Abdu’l-Hamíd Ishráq-Khávari, Shaykh Baha' al-Din adopted the pen name (takhallus) 'Baha' after being inspired by words of Shi'a Imam Muhammad al-Baqir (the fifth Imam) and Imam Ja'far al-Sadiq (the sixth Imam), who had stated that the Greatest Name of God was included in either Du'ay-i-Sahar or Du'ay-i-Umm-i-Davud. In the first verse of the Du'ay-i-Sahar, a dawn prayer for theRamadan, the name "Bahá" appears four times: "Allahumma inni as 'aluka min Bahá' ika bi Abháh va kulla Bahá' ika Bahí". Shaykh Baha' al-Din contributed numerous works in philosophy, logic, astronomy and mathematics. His works include 88 articles, epistles and books. Shaykh Baha' al-Din also composed poems in Persian. His outstanding works in the Iranian language are Jame’ Abbasi and twomasnavis (rhymed couplets) by the names of "Milk and Sugar" and "Bread and Halva". His other work Kashkool includes stories, news, scientific topics, Persian and Arabic proverbs. He wrote Khulasat Al-Hisab and Tashrih Al-Aflak in Arabic. Shaykh Baha' al-Din's fame was due to his excellent command of mathematics, architecture and geometry. He was the architect of Isfahan'sImam Square, Imam Mosque and Hessar Najaf. He also made a sun clock to the west of the Imam Mosque. There is also no doubt about his mastery of topography. The best instance of this is the directing of the water of the Zayandeh River to different areas of Isfahan. He designed a canal called Zarrin Kamar in Isfahan which is one of Iran's greatest canals. He also determined the direction of Qiblah (prayer direction) from the Imam mosque. He also designed and constructed a furnace for a public bathroom, which still exists in Isfahan, known as Sheikh Bahaei's bathroom. The furnace was warmed by a single candle, which was placed in an enclosure. The candle burned for a long time, warming the bath's water. According to his own instructions, the candle's fire would be put out if the enclosure was ever opened. This happened during the restoration and repair of the building and no one has been able to make the system work again. He also designed the Manar Jonban (shaking minaret), which still exists in Isfahan. The High Council of Cultural Revolution in Iran designated April 23 as the National Architect Day, marking the birth anniversary of Sheikh Bahaei. In the Twelver tradition, Shaykh Bahai is regarded as a leading scholar of his age and a mujaddid of the seventeenth century. His erudition won of him the admiration of Shah Abbas, and he was appointed the Sheikh ul-Islam of Isfahan after the death of the previous incumbent.He composed works on tafsir, hadith, grammar and fiqh (jurisprudence). Shaykh Baha' al-Din is also attributed with architectural planning of the city of Isfahan during the Safavid era. His interest in the sciences is also apparent by some of his works and treaties. One of his works in astronomy is the treatise Fi Tashir al-Aflak(Anatomy of the heavens).His book Kholasat al-Hesab the summa of arithmetic was translated into German by G. H. L. Nesselmann and was published as early as 1843. Shaykh had designed a public bath called "Garmabeh-e-shaykh" in Isphahan which for a long time it was running and providing hot water to public for years without any visible heating system of the day which usually needed tons of wood. Recently in 1969-70 the bathroom heating system was excavated and few series of underground pipe lines made of sun dried clay were discovered even though there are many theories about the working of this heating system, it was concluded recently that he knew about biogas and the network was to guide toilet wells which were common to Iranian's houses and mosques. This genius of architect was a true testimony to Persianate Safavid Turks or Islam. Shaykh Baha' al-Din was also an adept of mysticism. He had a distinct Sufi leaning for which he was criticized by Mohammad Baqer Majlesi. During his travels he dressed like a Dervish and frequented Sufi circles. He also appears in the chain of both the Nurbakhshi and Ni'matullāhī Sufi orders. In the work called "Resāla fi’l-waḥda al-wojūdīya" (Exposition of the concept of Wahdat al-Wujud (Unity of Existences), he states that the Sufis are the true believers, calls for an unbiased assessment of their utterances, and refers to his own mystical experiences. His Persian poetry is also replete with mystical allusions and symbols. At the same time, Shaykh Baha' al-Din calls for strict adherence to the Sharia as a prerequisite for embarking on the Tariqah and did not hold a high view of antimonianmysticism. my eyelids are drowned in the deluge of tear. For how long, how long shall we be kept apart? Helas! thou be'est concealed of our sight. In every scene and each face. In every sea I dive, thou be'est the sole host. Thou be'est the only Lord. Thou be'est the destination, thou be'est the pledge. The reason is thee when I am praying in the mosque. They are all pleas and thou be'est the pledge. Thou be'est the sole pledge. ^ Lambden, Stephen (1993). "The Word Bahá': Quintessence of the Greatest Name". Bahá'í Studies Review 3 (1). ^ Khadem, Dhikru'llah (March 1976). "Bahá'u'lláh and His Most Holy Shrine". Bahá'í News (540): Pp. 4–5. Hamid-Rezā Hosseini, [http://www.jadidonline.com/story/27122008/sheihk_bahai Lovingly in the House of Sheykh Bahāee (in Esfahan)(Āsheghāneh dar Khāneh-ye Sheykh Bahāee - عاشقانه در خانه شيخ بهايى), in Persian, Jadid Online, 27 December 2008. A shorter version in English: Isfahan's Hidden House, Jadid Online, 26 February 2009. Audio Slideshow with English subtitles (5 min 18 sec).